Affiliate marketing is one of the primary sources of income for a large number of professional bloggers. Today, there are thousands of affiliate programs covering almost every niche giving you the flexibility to handpick products of your choice. The sign-up process for these affiliate programs is generally quite easy but selling these products on your blog is altogether a different ball game. The following guide will help you learn the proven and effective techniques to sell affiliates products on a blog. Interestingly, contrary to the popular belief, you don't need tons of web traffic to conquer affiliate marketing. Right technique, implemented in a correct way can give you the best results. A lot also depends on testing the results supported by relevant data capturing to come up with the best possible solution for generating healthy affiliate sales. 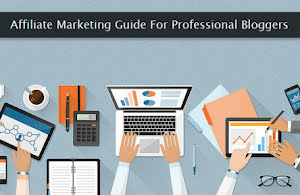 Let's try to understand the dynamics of successful affiliate marketing and see how we can implement the best techniques easily on our own blogs to evolve into a successful affiliate marketer. In my early days of blogging, I used to sign up for almost every affiliate program related to my niche. The end result was a large number of affiliate accounts with nil earnings. It was very discouraging and I nearly gave up turning to pay-per-click ads. Pro Tip: If you love to dig in web analytics data, mastering affiliate marketing is—easy. Gradually, I discovered how others are doing it successfully on their blogs and how I can replicate the same on my own blog. Before I go ahead, let me tell you that you don't need—tons of followers—or a massively popular blog to be a successful affiliate marketer. Yes, it does make things easy if you have one, but that's not a pre-requisite. Affiliate marketing works on a simple principle. We just need to apply, rinse, and repeat this process until we start getting a decent rate of conversions. There are various methods to do it which may variate depending on the niche and the channel you are using on the blog. Let's get started. The very first step involves choosing the affiliate programs that—match with your niche. It's not just the relevancy, but several other important factors govern whether an affiliate program will be good for you as well as for the buyers. Quality products - Undoubtedly, it is one of the prime factors that should govern your decision to choose an affiliate program. The best case will be your own experience with the product. If not, make sure you have taken feedback from the actual users of the product. Quality products have a decent fan following with positive reviews—across the web. Googling about the product can give you a fair idea about its quality and features. Dynamic creatives - Affiliate marketing involves enticing advertising banners and links. For every program you sign up, pay special attention to the available creatives. Their quality, type, and their size should give you enough flexibility to experiment. Tip: Every quarter or so, make sure you change the creatives and custom ads for the best results. Decent commission structure - It may happen that you do all the hard work and make several sales only to discover that you're getting—peanuts in return! Carefully study the commission structure for the direct sales, for the affiliate sign-ups, and for the indirect sales commission (via sub-affiliates). Good affiliate programs share anywhere between 10% to 30% of the sale. Anything below 10% is not worth signing up. Proper reporting - Tracking sales and click activities is an essential part of every affiliate program. Some programs provide detailed reports including raw clicks and impressions, while others provide concentrated statistics. Just make sure you have one of these including instant e-mail alerts for every sale with the transaction details. If the program supports data export, it's icing on the cake. Flexible payment modes - Payouts is one of the most important deciding factors and must be easy, quick, and transparent. It is seen that PayPal is the most popular payment mode supported both by the affiliates and by the product owners. In case, you are only left with an option of check delivery, make sure you're provided with proper tracking options for the dispatched courier with an option to raise a check re-issue request—in case of an unsuccessful delivery attempt. Proven track record - And, last but not the least is checking the overall reputation of the affiliate program. As I mentioned earlier, the web itself can give you enough information about the program. You just need to make sure that you don't go by paid reviews. Find real testimonials, reviews, and experiences of the actual customers. There are two popular methods to sell affiliate products on a blog. The first approach involves writing persuasive blog posts and smartly embedding affiliate links within the text. The second much popular approach is displaying different formats of affiliate ads at prime locations on the website. Both techniques work well—if done correctly. In-Content links - This method is very effective and requires excellent copywriting skills. The placement and the anchor text of the embedded links is one of the primary factors that contribute to the high click-rate. You can embed your affiliate links either in a regular post or in a review post. In either case, disclosing the presence of affiliate links within the post is entirely up to you. Custom/Banner ads -The second much popular alternative is the use of banner advertisement. Pre-made creatives - Almost every affiliate program comes with pre-made creatives of different sizes. Perhaps, the most popular among them are 125x125 banners littering the sidebars of countless blogs. For many popular niches, readers are almost blind to these small banners. I've tried this before with almost—nil conversions. Try large size creatives and experiment with placements. Large custom ads - This is my preferred methodology and it works very well. Instead of relying on pre-made creatives, I normally prefer to design a large custom ad, which is a mix of graphical banner and text. These custom ads are very effective and the conversion rate is much higher than a pre-made 125x125 banner in your sidebar. The fact that they are different from regular banners helps in immediately attracting the attention of a potential buyer. I'll strongly suggest you take some time and design these large custom ads and place them at the prime locations—on your website. Unless you're not getting decent traffic from organic sources, don't waste your time by littering your sidebar with countless affiliate banners. It's just a waste of premium space. Better leave that space for direct advertisements. If you have a fairly popular blog with a decent fan following, you'll find it very easy to sell affiliate products. The trust factor plays a major role in affiliate marketing. As I said before, it gives a push adding more sales to your kitty. On the other hand, if you have a new blog, there's no need to be disheartened. A potential buyer coming from an organic source with a credit card ready in his hand won't even bother about blog and author. If he gets what he wants, you're bound to get good conversions. I'm saying this with my own experience and all you need is experimenting with custom ads.